We come to you! Repairs done on-site. Your car is a hard-earned investment that needs to be cared for. When you take care of this investment, it will return the favor in ways much more worth it. Maintenance may get you spending but regular upkeep will cut your expenditures to a minimum. So, it still is best if you make sure your automobile is always in tip-top shape rather than having major repairs done later, which can cost you more bucks than you can ever imagine. Regularly checking your car for any possible scratches and dents is a good move to make because it helps preserve the overall appearance of your car. It will also help maintain your car's performance. Cars are said to be the owner's home on the road. Aside from their use to take you to your desired destination conveniently, they also serve as your protection. Your vehicle is exposed to all the elements, absorbing the impact, while keeping you safe and comfortable inside. Reward your car with special care and maintenance with Dents Away Paintless Dent Repair! We offer you practical solutions in getting rid of any unwanted dents and scratches that may have been inflicted upon your car during a hailstorm. Hail dent removal is our forte! In addition, we can make your cars look handsomely new without inflicting any damage on the original paint job. Dents Away takes care of your car with our special paintless dent repair and removal services. 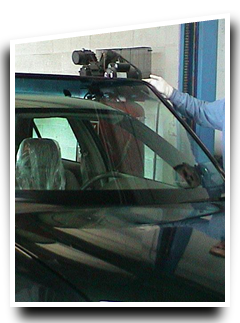 We also specialize in windshield repair and replacement services. We service different car brands for our clients in and around Toledo, Ohio. Our professional technicians can make your cars good as new. Call us now for a free quote and to know more about the services we offer. No matter how small they are, scratches and dents can affect the overall looks of your car. Furthermore, that small dent on the body of your car could cause bigger problems if it is let alone. Soon enough, the paint will chip off. You may have to pay more to fix a larger problem which could have been prevented by simple paintless dent removal. Also, if you are planning to sell your car, the appraisal may not be as high as you expected if you have dents and dings that have deteriorated into deeper corrosion problems. 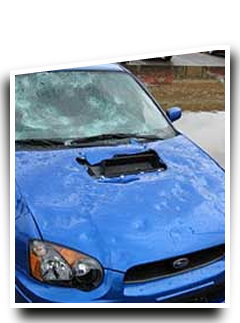 Extreme weather conditions like hailstorms can damage your car’s windshield. Cracks and nicks can ruin the windshield’s appearance and integrity. Your windshield can lose its strength, its ability to protect you, when it becomes brittle and prone to shattering. Large cracks may also partially block or distort your view, putting you at a greater risk for accidents. Cars with broken windshields are also noticeable to law enforcers. Unless you would want to be pulled over more often, have your windshield repaired or replaced. Bumpers are your car’s first line of defense against potential injuries and major damage. Among all the parts of a car, the bumpers are the most prone to be damaged. Likewise, bumpers are one of the most noticeable parts of the car. Driving a car with damaged bumpers may sometimes be uncomfortable, not to mention what an ugly sight a damaged bumper is and how it detracts so much from your car’s physical appearance. As with your windshields, a damaged bumper is weak and cannot provide the protection it was intended to. Give your bumpers the servicing they need to restore their original look and function. Don’t think you are losing money when you get your cars serviced for repairs regularly. In fact, you are maintaining the value of your car by keeping it in good working condition at all times. Dents Away has the advanced equipment necessary to make paintless dent repairs. We guarantee that you car will dazzle with perfect lines once after the repairs are done. Our technicians will be more than happy to answer all your questions about the process and provide expert suggestions on what best to do for your car. Removal of hail dents is one thing that we specialize in, aside from the many other services we can do. If you love your hard-earned car that much more, you are welcome to give it the pampering touch of our outstanding service. We provide extremely meticulous cleaning, waxing and polishing to bring out your car’s show-quality looks. Our services also include treatments that prevent dust from settling and help your car resist damage to its finish. We understand that it can be hard for car owners to bear being aware of the heavy scratches on their vehicles, especially when they are new. Driving a new car with unsightly scratches may affect the owner’s confidence. It also unavoidably reflects the owner’s personality and level of responsibility. Preserve the overall beauty of your car with our professional services. Treat your car with superior car care from us. Get your hail dents repaired now before they get any worse from neglect! Pamper your cars with our individualized and high-quality services. We know the special treatment you give your vehicle, thus we only use the best products and equipment for all our dent repair, windshield replacement projects. We treat each car individually because car owners have different preferences when it comes to fixing the looks of their car. Our experienced technicians know exactly what to do and they are eager to listen to your suggestions. We make sure that we never miss a single detail. As a full-service dent repair company, you can consider us as your one-stop shop for your car maintenance needs. From consultations until our work is finished, you will definitely feel the difference. We can help you restore the youthful appearance of your vehicle. If there’s anything we can do to make your experience with us any better, feel free to tell us. Dents Away can make excellent paintless dent repairs. Our trained technicians can handle all major car brands. Just consult us and we will certainly do our best to give your car the service it needs. We also specialize in windshield repairs and replacements. Our company also works with all insurance companies. Call us today for free estimate and consultation. We are willing to go the extra mile and we do not back down from any project. We are proud to say that our team of car professionals has the experience and the talent to perform car restoration projects. Our services are known throughout Toledo, Ohio and we are the most trusted company to take good care of our clients’ vehicles. Our clients rely on our skills and machinery to perform an excellent job. If you feel unsatisfied with your previous service, don’t hesitate to give us a try. We assure you that once you try our car services, you will keep on coming back for more. Dents Away offers dent repairs, windshield repairs services at reasonable prices. There are no hidden charges and unnecessary expenses. Call us and let us take a look at your car. We will be glad to provide estimates so that you will know what to expect. 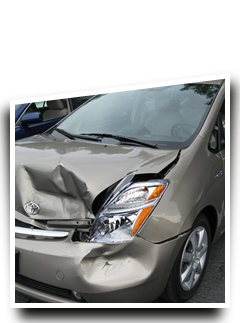 We offer unmatched customer service as dent repair specialists in Toledo, Ohio. Our courteous staff will entertain you immediately once you enter our facility. We will learn your concerns and execute the needed repairs promptly. Our technicians will know what to do once they are able to assess the damage to your car. And after our work is done, you can drive away with full confidence knowing that your just received top-quality services from us. Call us today to know more about the services we offer. We are eager to answer your inquiries and provide quotes. Just provide us with a detailed description of the problem and we can provide better suggestions about how to handle your concerns. We look forward doing business with you. Dents Away values your trust and your business. CALL TODAY FOR YOUR FREE ESTIMATE AND CONSULTATION!